The list of nominees in the Baroque Instrumental category looked less attractive to me this year, already driven by the fact that I didn’t own any of the listed recordings. Plus the fact that the list contains 3x Vivaldi, who isn’t very high on my priority list. But given that the winners will be formally announced tomorrow, I had a quick rather unprofessional scan, and let me pull out my crystal ball here on who should win in my humble rather biased opinion. Please take this with a huge grain of salt, it is based on rather limited listening and even more on gut feel than my previous posts here (instrumental), here (concerto), and here (chamber), where I actually spent some decent amount of time listening. Just looking at the nominee list, without listening to the albums, I would have predicted Rachel Podger to win, as I usually love what she does. Based on the snippets I heard, she does well on the Vivaldi, too. But I don’t care enough about Vivaldi to actually buy this album. Same goes for the two other candidates with Vivaldi albums, which I quickly streamed. I didn’t particularly like the Venice Golden Age album, although I usually like AKAMUS a lot. Maurice Steger’s flute concerto sounds ocasionally like Papageno on speed, but actually is quite a bit of fun. I may end up buying this eventually just for the good mood. I only quickly skimmed the CPE Bach album of Rebecca Millers approach to the symphonies, but this is not repertoire I listen to a lot (CPEs keyboard concertos with Staier are much better), and what I heard didn’t motivate me to go much further. I like Mahan Esfahani’s work elsewhere, but Hyperion is another label not allowing streaming, so I didn’t properly listen to this one either. I’m also much less familiar with Rameau overall, so anyhow I wouldn’t be a good judge. Probably worth checking out. 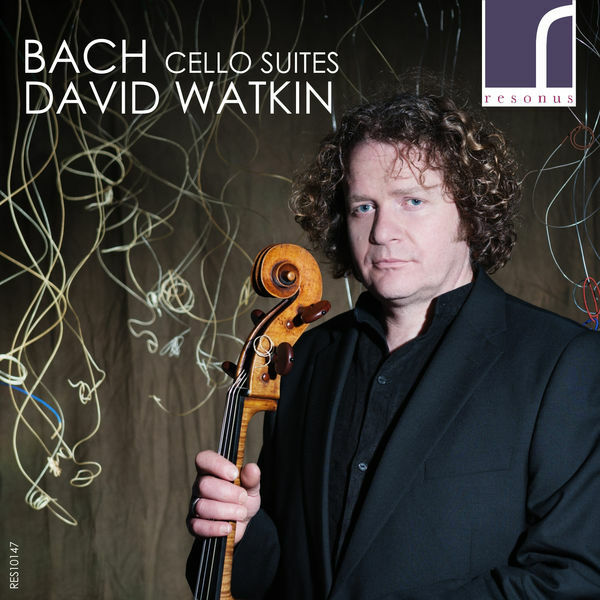 So let me get to the positive surprise of this lot: David Watkin’s Cello Suites on Resonus. I must admit that initially I kind of thought to myself “Seriously, another recording of the Cello Suites is all what we need” (note that I’ve recently praised Steven Isserlis excellent recording here). I even had missed all the praise in the press this recording had previously received, probably due to the same biased thinking. But then I started listening. And honestly, I was very positively surprised, this version sounded incredibly “right” to me, intuitively exactly like it should have sounded. The historic cello he plays is probably part of it, I don’t know what it is, but if this recording doesn’t win in the category I’d be very surprised! In less than 24h we’ll know more.